Fort Scott picked up four key wins last week. This weeks Craw-Kan "Your Community Technology Partner" Team of the Week from the Southeast Kansas area is the Fort Scott High School Tigers baseball team led by head coach Josh Regan. The Tigers picked up four key wins last week and a win yesterday, including three at the Adam LaRoche tournament in Fort Scott. The TIgers got wins over Pittsburg (5A) on Tuesday (6-4), before winning the three in the tournament over KC Piper (9-2), BV North (7-6), and Olathe West (4-2). The Tigers also picked up a 7-2 conference win over Chanute on Tuesday. FS will be back in action tonight as they take on Parsons at home in a double header. Craw-Kan would like to congratulate the Tigers on a solid start in 2019. 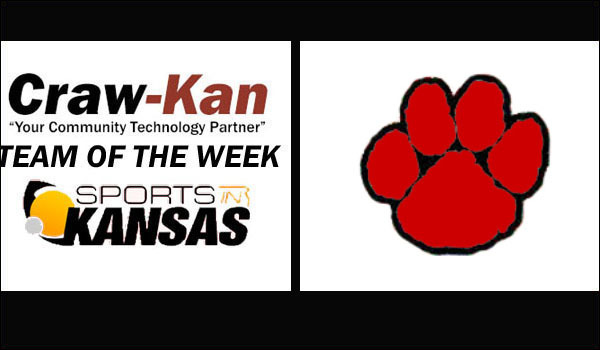 Craw-Kan “Your Technology Partner" and Sports in Kansas will once again be in partnership over the 2018-2019 school year to release a "Craw-Kan Team of the Week" for the fifth consecutive season. "Craw-Kan offers all your technology needs in the area from internet to web design and cell phones to security systems." said Craw-Kan Marketing Manager, Zach Adams. "We have a lot of new products including the fastest internet in the area in the new gigabit fiber, we are also in Frontenac and Pittsburg with our service. We are very excited with all the new products we have to offer to the area." Nominations will be accepted from every Friday-Sunday, with the "Craw-Kan Team of the Week" being released every Monday on Sports in Kansas (Kansas-Sports.com). Teams must be nominated via email or twitter. Teams must be from the following leagues in the Southeast Kansas area to be eligible: SEK, CNC, TRL, plus Erie, Pittsburg and Parsons. Craw-Kan and Sports in Kansas will also partner in releasing a "All Craw-Kan Team" for the Southeast Kansas area after postseason play has wrapped up.